98% cotton, 2% elastane (fabric weight 220 g/m²). Origin Turkey. Lining 100% rayon. Comes with corozo buttons. Garment made in Poland. 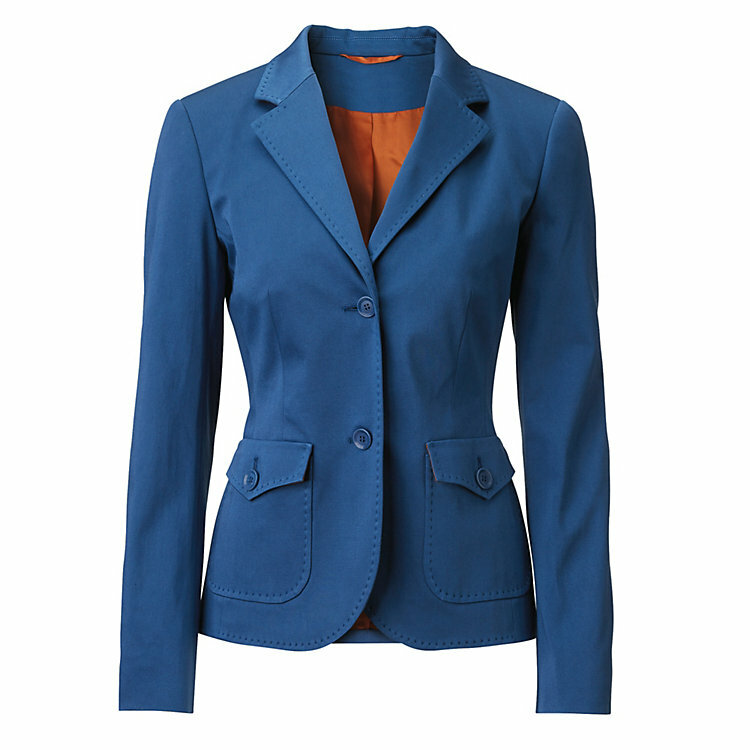 The blazer features a rich medium blue. Back length for size 38 = 62 cm. Tapered women's blazer with two button-down flap pockets. The elbows are covered with patches, the collar, lapel, the front edge, part of the hem and the pockets and patches are executed with AMF stitching that looks as if it had been hand stitched.